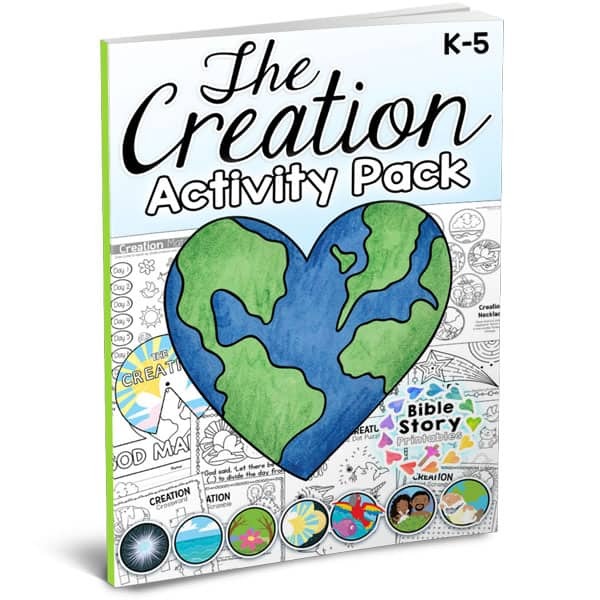 Learning about the Days of Creation helps children build a strong foundation in a biblical worldview that they will carry with them for the rest of their lives. Even the youngest children can understand that God is the ultimate creator of everything. Our resources can help you teach these important biblical truths. 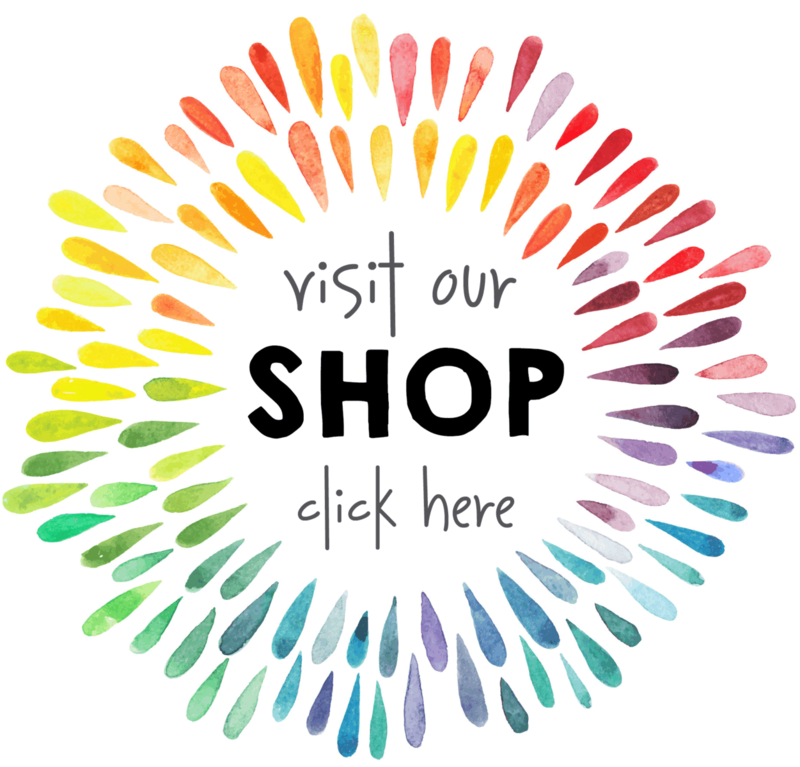 Our Creation Coloring Pages are for Homeschool or Sunday School use only. 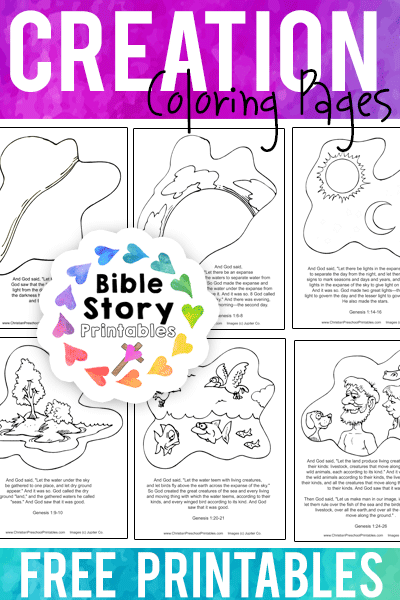 You’ll find a bible verse coloring pages for each day in the creation story. These make a great creation booklet for children. On the first day of creation God created Light. Then he separated the light from the dark. Children can color one half black to represent the dark. On the second day of creation, God separated the waters. 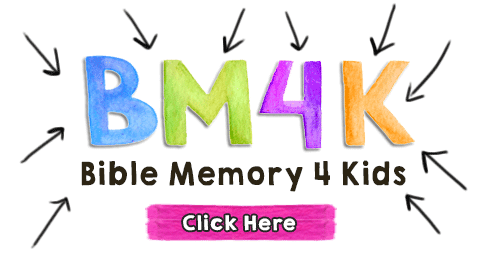 Provide different colors of blue for children to color in this page. On the third day of creation, God made land, plants and trees. Encourage children to draw in their favorite flowers. On the fourth day of creation God put the sun, moon and stars in the heavens. Show children how to draw in little stars. On the fifth day of creation God made the fish in the sea, and the birds in the air. On the sixth day of creation God made all the land animals, as well as mankind. On the seventh day God saw what he had made was very good, and he rested. Have children decorate the pillowcase to match their own at home. Looking for more? 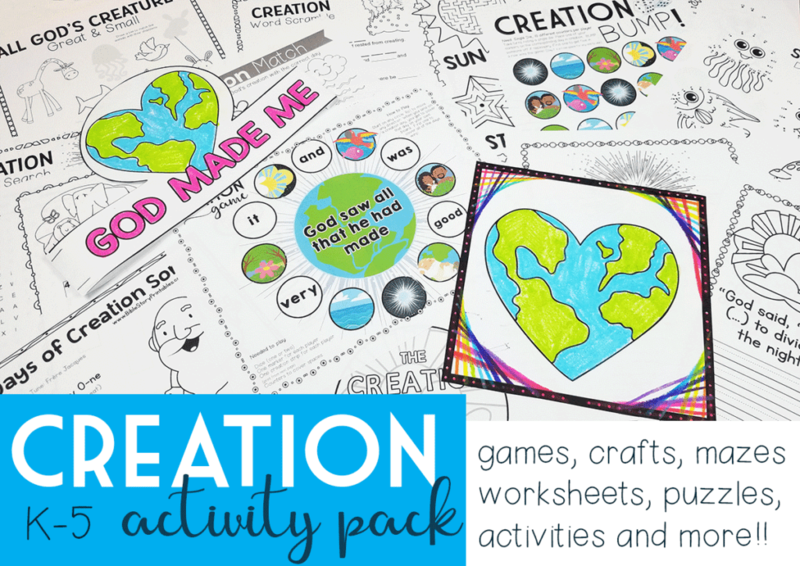 Try our Creation Bible Activity Pack today!